How do fitness trackers measure your heart rate? Have you ever wondered how smartwatches and wrist-based fitness trackers can tell what your heart rate is? I’ve been wearing an Apple Watch for a few months now, and it’s fun to see what my heart rate is during and after workouts. But it got me thinking about how this technology works, and whether it’s accurate. 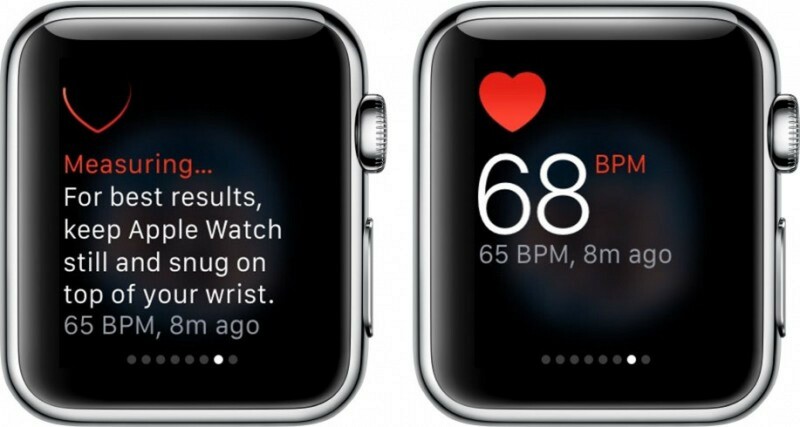 According to Apple, the Watch uses a technology called photoplethysmography, or PPG, to measure heart rate. 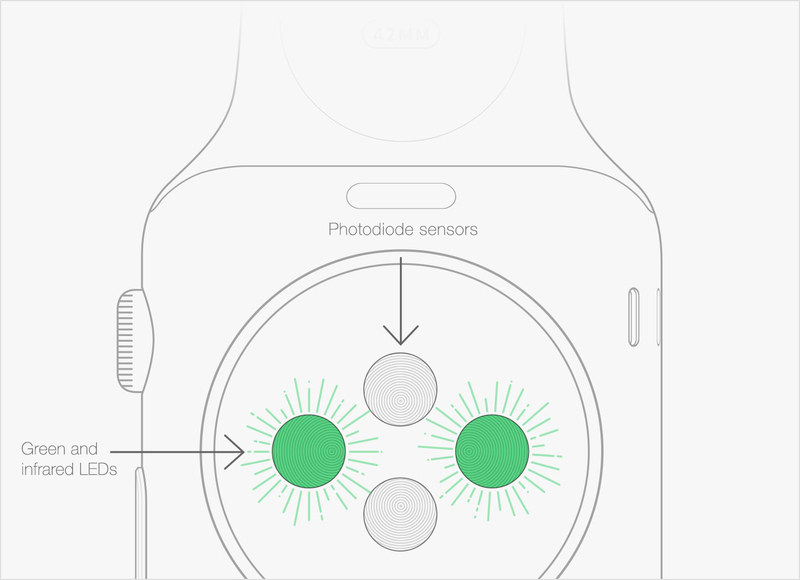 It’s essentially testing how much red or green light it can see when looking at the skin on your wrist. Blood is red because it reflects red light and absorbs green light, so when your heart beats, there’s more blood flow in your wrist, and more green light absorption. Between heart beats, there’s less absorption of green light. By flashing its LED lights hundreds of times per second, Apple Watch can calculate the number of times the heart beats each minute — your heart rate. You might have even seen this in apps on your phone before. Using your phone’s camera, the same technology can be applied on-demand. In fact, this technology is quite old—apparently it was first used in the late 1800s. At that time, people would “hold their hand up to a candle in a dark room to see the vascular structure and blood flow”. This technology is also used in hospitals—if you’ve ever seen a finger or ear clip that measures pulse and blood oxygen levels, it’s using PPG. The Apple Watch has two heart rate monitoring modes: when you put the watch into workout mode, it will track your heart rate continuously. The rest of the time, the heart rate sensor uses infrared light to measure your heart rate every 10 minutes (unless your arm is moving, which makes it hard to get a reliable reading). You can also check your heart rate anytime from the heart rate glance. Because the watch relies on testing the light absorption of your skin to infer your heart rate, there are lots of ways the watch can struggle to get an accurate reading—or any reading at all. Tattoos, for instance, can block the heart rate sensor’s light. Moving your arm around can make it hard to get an accurate reading—Apple says you’ll get more accurate readings from rhythmic movements, such as running or cycling, that you would from a sport like tennis or boxing, where you’re making inconsistent movements. It can also be hard to get an accurate reading when you’re exercising in cold weather. There’s obviously a debate about how accurate this technology is even in the perfect circumstances. 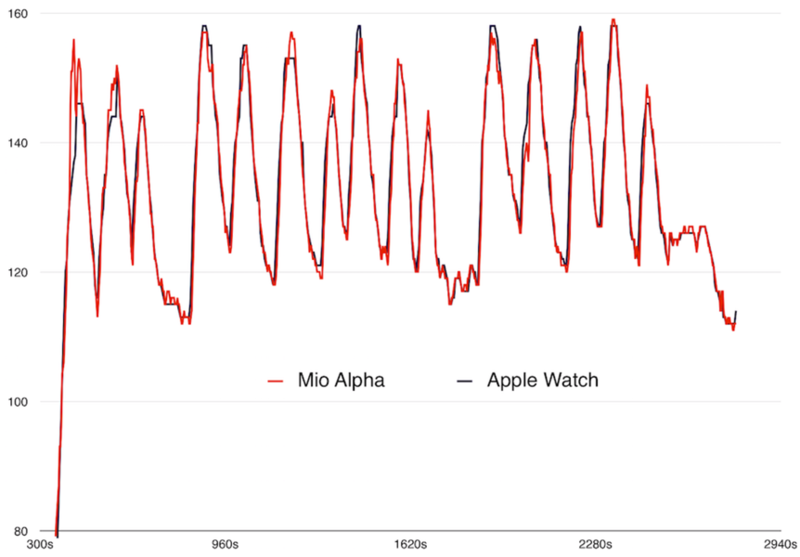 Users have complained about inaccurate readings during workouts that involve lots of irregular movements, which is something Apple points out as causing trouble for the watch’s sensors. How the sensors are worn can also affect the output: wearing the watch too loosely can give inaccurate readings. Other tests have shown the heart rate readings to be very accurate (see graph above), but without a study with a large sample size, we can’t make a call on how accurate the tech is on average. Fitbit doesn’t mention photoplethysmography, but their tech seems to be inline with Apple’s. The Fitbit bands with heart rate tracking built-in (the Charge HR, Surge, and Blaze) uses “optical heart rate sensors that still maintain extended battery life”. 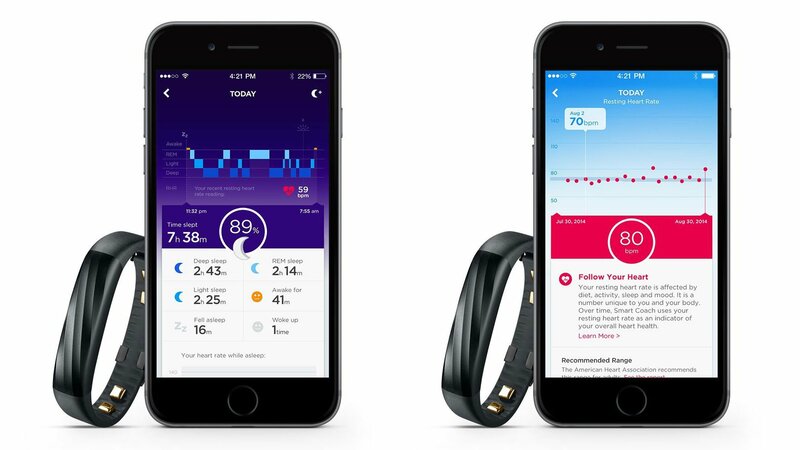 Fitbit brands their heart rate tech as PurePulse—calling it “the only heart rate technology to offer automatic, continuous wrist based tracking for all-day health insights and workout intensity”. The Fitbit trackers have the same struggles as the Apple Watch: you need to wear the band correctly, and tight enough for the lights to be touching your skin, and irregular exercise like boxing can throw off the measurements. Fitbit also suggests wearing their trackers higher on your wrist to get more reliable readings. Bioimpedance measures the resistance of body tissue to tiny electric current to enable the capture of a wide range of physiological signals including your heart rate. If you’ve ever measured your body composition such as fat content, this is very similar. Bioimpedance essentially tests how much opposition there is to the electrical current sent through your body tissues. Jawbone claims this method requires less power than the light-based methods used in other trackers, allowing UP bands to deliver similar accuracy with better battery life. However, so far the UP bands only measure resting heart rate (just after you wake up) and passive heart rate throughout the day. There’s no option to track your active heart rate during a workout, which will likely impact battery life if it’s added to the bands later. It’s difficult to find any reliable studies with large sample sizes that have tested the accuracy of different wearables when it comes to heart rate. And, as Shane Richmond at Wareable points out, studies of the technology tend to focus on the sensors themselves, rather than the real-world application of those sensors in a wristband. They also tend to focus on more simple or low-impact situations than real world exercise, making studies irrelevant to some degree when it comes to understanding how accurate this technology will be for you. Scientists believe part of the problem is that wristband trackers are made to be the same, whereas individuals differ widely. This can make tracking difficult or impossible for some people. And it’s another reason why we need studies with large sample sizes to get a better idea of how well this technology works in the real world. For now, the consensus is that old-school chest straps are your best bet for accurate heart rate monitoring during exercise. But if you’re only curious about heart rate, a wrist-based wearable worn correctly should give you “close enough” metrics—just take them with a grain of salt. Image credits: Graph via 9to5Mac. Diagram via ReadWrite. 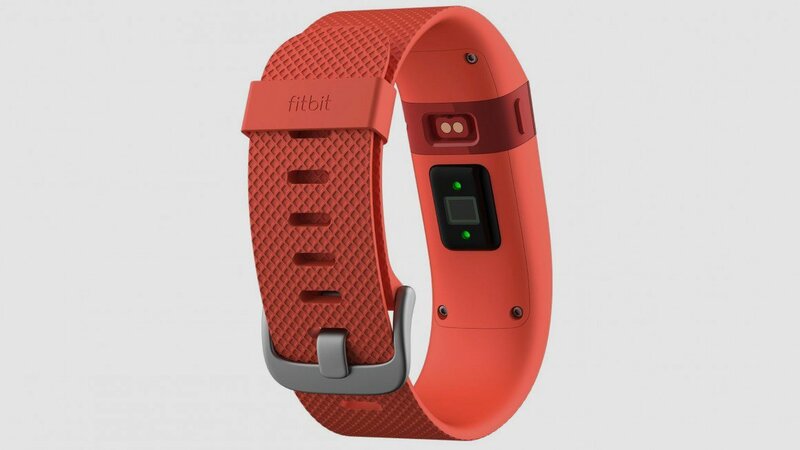 Fitbit via Wareable. Apple Watch via MacRumors. Jawbone UP via TechAdvisor. Subscribe Keep up to date with the Exist blog. Delivered to your inbox.